As far as the economic and social realities of its people are concerned, Rwanda has changed significantly over the past 20 years. Yet the country continues to be challenged by poverty, health, and environmental issues. In 2017, the Human Development Index ranked Rwanda 159th out of 188 countries, with an average life expectancy at birth of 64.7 years. Rates of chronic malnutrition remain stubbornly high, especially in rural areas. This can be observed by looking at stunting, an indicator of chronic malnutrition that permanently affects brain development and health. While levels of stunting have fallen, in 2015 they were still at 36.5 per cent for children under 5 years. Furthermore, communicable diseases continue to be widespread, especially malaria, acute respiratory infections, and illnesses related to water, hygiene and sanitation. These problems are representative of issues like poverty and illiteracy. 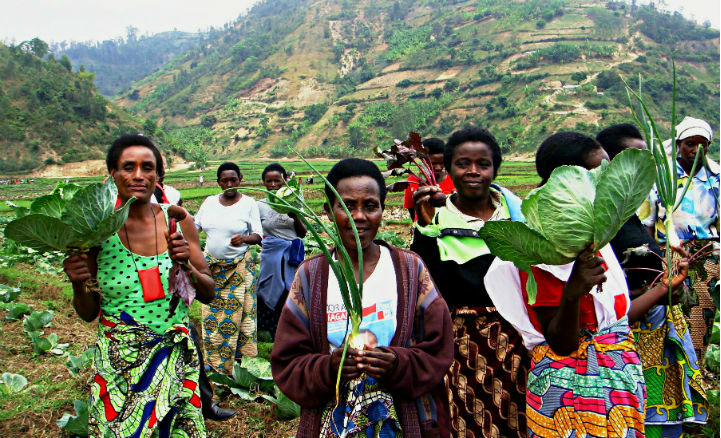 The vulnerability of the Rwanda population is linked to a number of interrelated factors, such as the high population density leading to insufficient land for farming. It is important that a wider perspective is duly considered when devising strategies aimed at strengthening community resilience. In support of the national programme to eradicate poverty, the Rwanda Red Cross has adopted the “Agasozi Ndatwa” (Model Village) approach since 2008. The first Model Village was launched in 2010 with technical and financial assistance from the Belgian Red Cross, and backing from the European Union Directorate-General Development and Cooperation. Also supported by the Danish Red Cross, Spanish Red Cross, and Austrian Red Cross, the Rwanda Red Cross coordinates the entire project. Each Model Village is selected according to where the most vulnerable populations are located. Actions in the Model Village are supposed to be simple and replicable, so that in time, other villages can reproduce and benefit from proven best practices. Essential to the Model Village approach is the fact that solutions are devised by and for the community in question. Local people are involved from the start, supported by Rwanda Red Cross volunteers to assess their community’s strengths and weaknesses, and define their own needs and priorities. Informed by a national classification, the community collectively selects the families that are most in need of receiving specific support. The aim is to improve living conditions for the most vulnerable individuals, and in so doing increase the whole community’s resilience. Community members take responsibility for the areas of action that have been defined, also participating in the monitoring and assessment of developments. The project involves interventions in various sectors at the same time, from water, hygiene and sanitation, to nutrition, disaster management, and livelihoods. For instance, an activity with widespread impact involves the organisation of women into co-operatives that manufacture charcoal briquettes using organic waste, and sell them to other villagers. This enables the women to earn a living, and generates economic activity in the wider community. 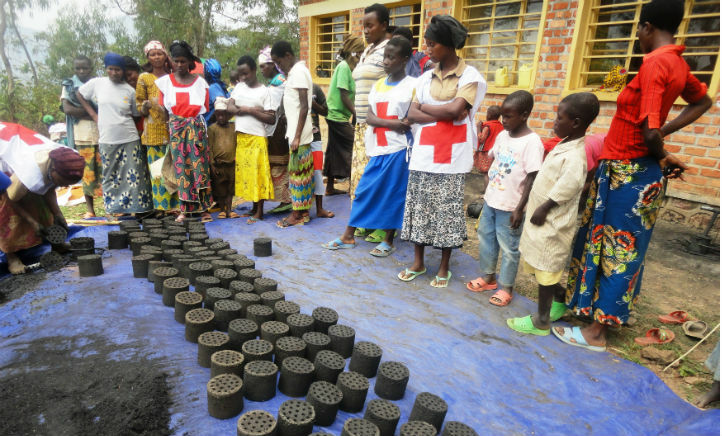 As an alternative to using wood, the charcoal briquettes are more affordable for families. Furthermore, they are instrumental in reducing the deforestation that leads to soil erosion and landslides, damaging housing and cultivated lands. One of the participants in this project is Béatrice, a widow and mother of 6 children living in a Model Village in the Gihombo sector, Nyamasheke District. “The Red Cross project has changed our lives,” she says. In addition to what she earns from participating in her co-operative, she has received a pig that has reproduced and through selling the piglets, she has generated an additional source of income. She is now able to rent a field, where she grows vegetables. “Our children are sick less often, our diet is balanced, we have better hygiene and access to drinking water.” In addition to the tangible results of the project, “we have regained our self-respect,” she underlines. Thanks to the Model Villages approach, communities have become increasingly informed as to the risks they face, and their abilities to deal with them. The creation of co-operatives has contributed to socio-economic development and encouraged cohesiveness in the community. 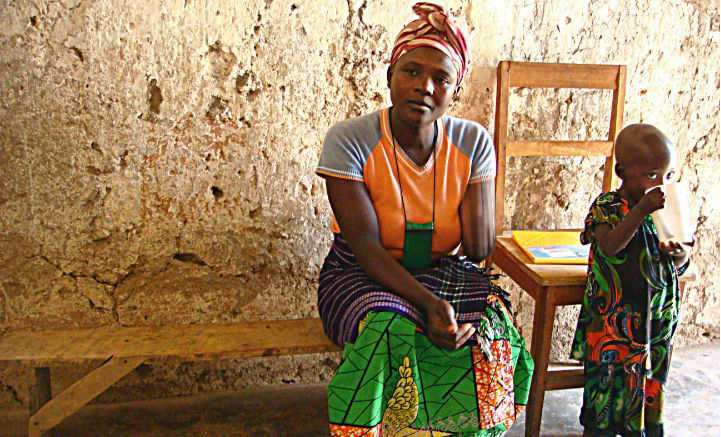 The ability to pay attention to nutritional and hygiene practices is helping make people stronger and healthier. Meanwhile, infrastructure has been developed, such as emergency healthcare services. First aid volunteers with the Red Cross have been trained to prevent and respond to disasters. The Model Villages approach has been instrumental in connecting communities with authorities and other local actors, supporting people to get their voices heard and seek necessary support. The Rwanda Red Cross continues to expand the Model Villages as part of its strategy to increase the resilience of the Rwanda population.